Design for Craft / Posts tagged "materials"
Da anni DfC lavora al tema della costomizzazione tramite la produzione digitale additiva, anche lavorando sul tema dell’ibridazione dei materiali. Oggi, grazie alle stampanti di grande formato della famiglia Delta di Wasp, è possibile usare pellet termoplastici e accedere così ad una vasta gamma di possibilità di personalizzazione tramite blend con altri materiali, sia naturali (come la fibra di canapa) che minerali. L’utilizzo di pellet anziché dei filamenti permette, inoltre, di gestire volumi di stampa importanti poiché l’estrusore lavora con flussi maggiori: questo significa maggior velocità nella realizzazione dei pezzi e maggiore resistenza meccanica. Riteniamo che questa sia una frontiera interessante per tutto il settore della digital manufacturing sia orientata alla prototipazione ma, sopratutto, alla produzione. The demand for materials and production processes widely biocompatible grows and is a stable trend in the way of industrial production. Design for Craft works on the technology transfer related to the world of digital manufacturing and beyond. 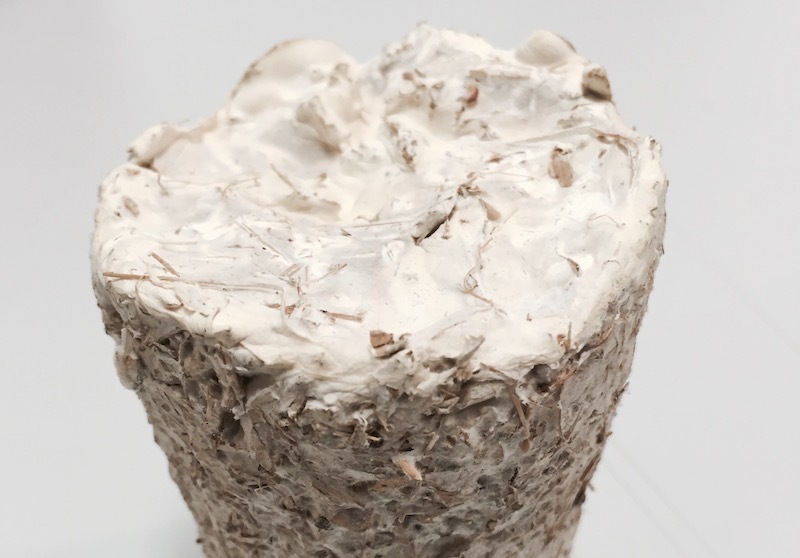 One of our latest experiences is the production of objects (prototypes and models) derived from cultured mycelia, in other words the growth apparatus of mushrooms. Their cultivation, under controlled conditions, can lead to the growth of reticular biological structures. The result is a material with interesting performances, also for industrial uses and totally biological in the production and disposal phase. We launched a series of tests to evaluate the applicability and the results of this process using 3D printing as a way to make molds for the tests. 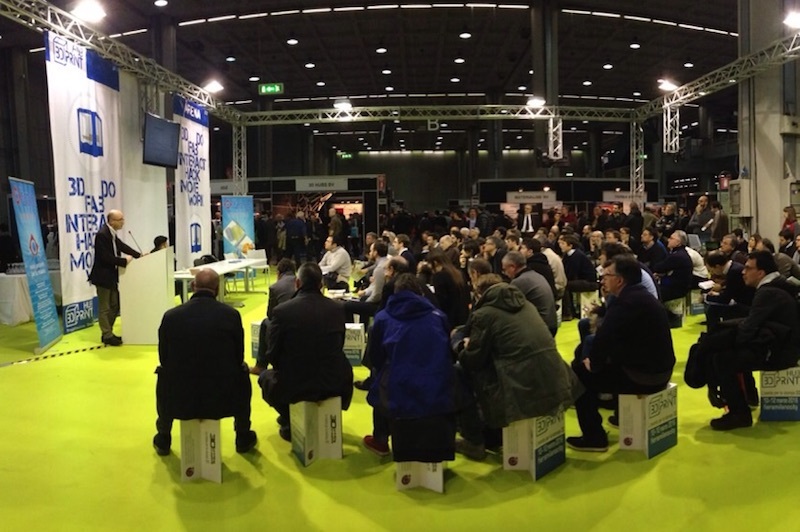 We’re back from the 3D Print Hub 2015 in Milan, the main event for the professional 3D printing in Italy. This edition was very full of exhibitors and interested visitors; the main focus has been on the professional applications of 3D printing. Design for Craft has attended showing the results of two real case studies with the aim of explaining how the technological approach towards the digital manufacturing can have an effective role on how products are designed, manufactured and marketed. We have also been asked to tell the state of the art of innovative materials of 3d printing FDM in our public speech “POLYMERS FOR CUSTOM 3D PRINTING”. For those interested, we’ll be present also at the next 3D Print Hub at MECSPE in Parma on March 26 to 28, considered the main event in Italy for the world of the production technologies and the industrial supply chains. 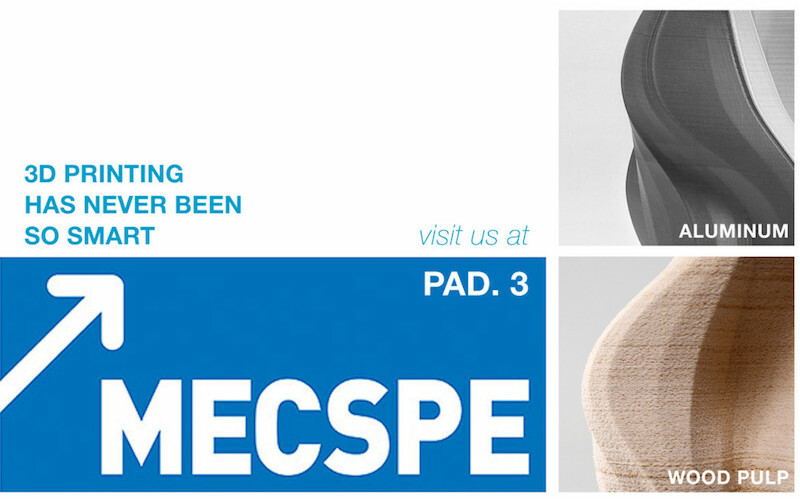 This will be the week of MECSPE (from 27th to 29th of march), the reference exhibition for the manufacturing industry, the meeting point between production technologies and industrial supply chains in Italy. Design for Craft will be in the 3d print Hub, an international appointment to identify trends and development of 3D where we’ll show you some of our latest research on materials for FFF 3d printing. We’ll perform a speech the 27th at 16pm: “FROM MAKERS OF OBJECTS TO MAKERS OF MATERIALS: FILAMENT ON DEMAND PRINTING 3D.” We’ll be happy to meet you there. As you can see in the video below, Marble is ideal for hobbyists and for craft works because you can work its “chalky” surface with various tools. It will be available for purchasing in www.stickfilament.com very soon. The 1.75 mm Stick Filament is born! Lots of people asked for the 1.75 mm version of the Stick Filament. Here it is! This is the first print test with this new baby child in our family: a 1.75 mm stick in HIPS. Soon we’ll have it in ABS, PLA and the other materials previously available for the 3 mm. We plan to have it ready for the market soon. great news from Design for Craft. 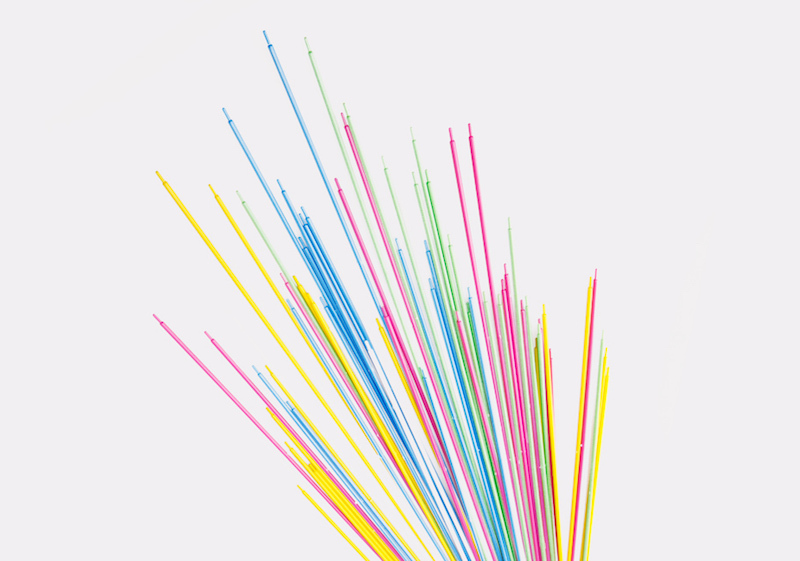 From today we start a campaign on Indiegogo for the Stick Filaments. We have developed the system with our resources in the last months, we tested it and we are glad to say that the results are incredibles. Anyway we want to develop it and make it affordable for everyone. Now, we need your help for take Stick Filament to the next step: the full production. This system doesn’t want to replace the spool, but to increase the range of available colors and innovative materials. 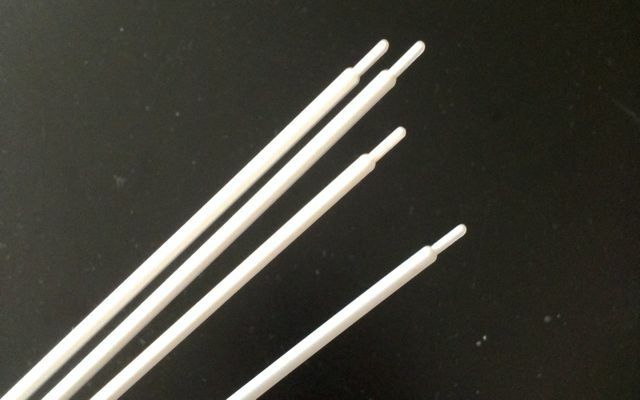 We think Stick Filaments are the best choice for desktop 3D printing and special manufacturing. Someone think that Stick Filament’s main characteristic is the easy use and the multicolor printing with one hot end but there’s a lot more… Thanks to the Stick’s production process we can design filaments with materials not available with the common filament in spool. An example: wax! Yes, we are testing a wax filament for 3d printing. That’s why we are really aware that Stick Filaments make possible new applications for 3d printing. Support us on Indiegogo (here’s the link), follow our campaign and share in your network. Usually we prefer to develop new materials not yet common in the market of 3D printing but there is still room for innovation even the most used materials, such as PLA and ABS. 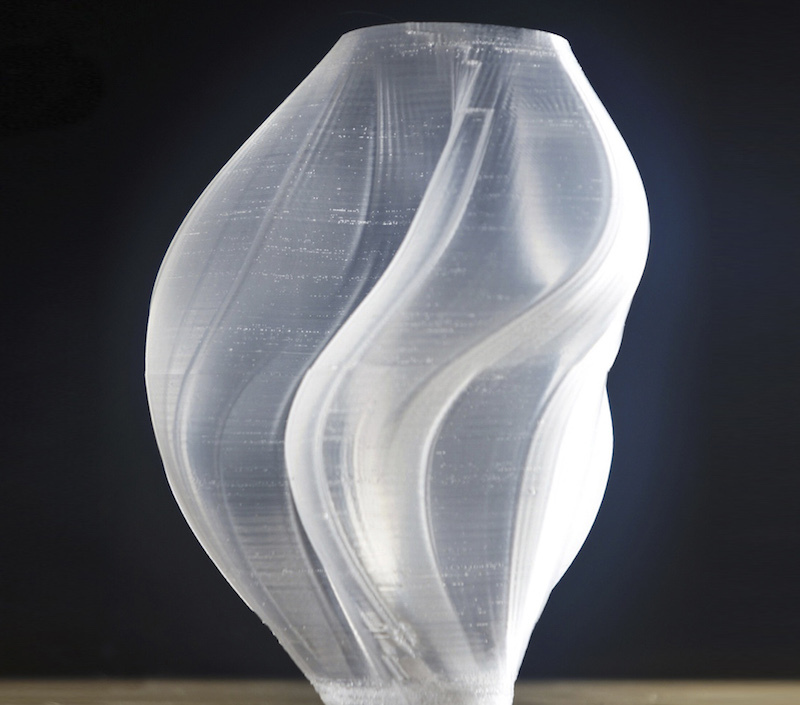 So we have some new Stick Filament in beta testing; we are talking about transparency and brilliance. Here are two photos of our PLA Ultrabright and ABS Ultraclear, both offer very good results. With ABS Ultraclear you’ll have an outstanding transparency and PLA Ultrabright prints better providing a strong cooling during the printing. Please note that we don’t use frequently ABS, intact primary gas-phase products of ABS thermal decomposition at very high temperatures have been shown to include carbon monoxide and hydrogen cyanide, as well as a variety of volatile organics. Exposure to thermal decomposition products from ABS has also been shown to have toxic effects. 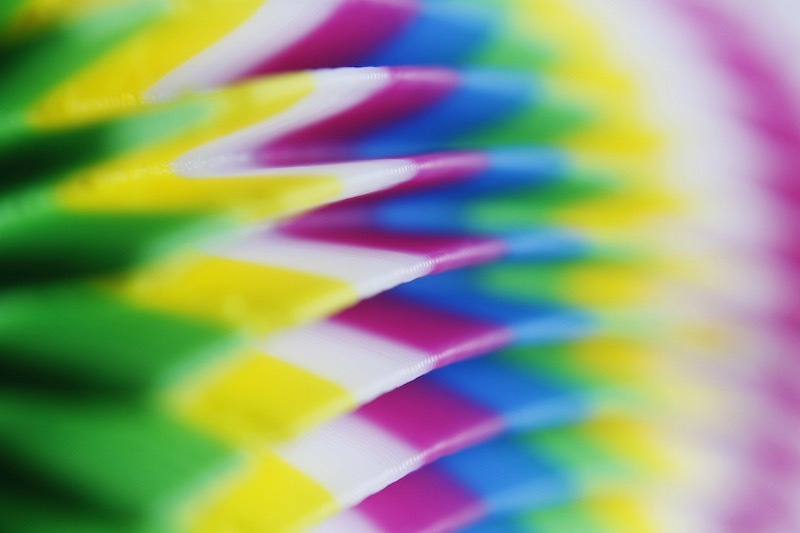 ABS provide a superior print quality but we recommend you to use a good air aspiration over your printer. We took advantage of the Christmas holidays for dabbling in the kitchen and, of course, having fun with our 3D printer. We made a stencil in HIPS for food with Stick Filament and we prepared an excellent mixture of ginger. 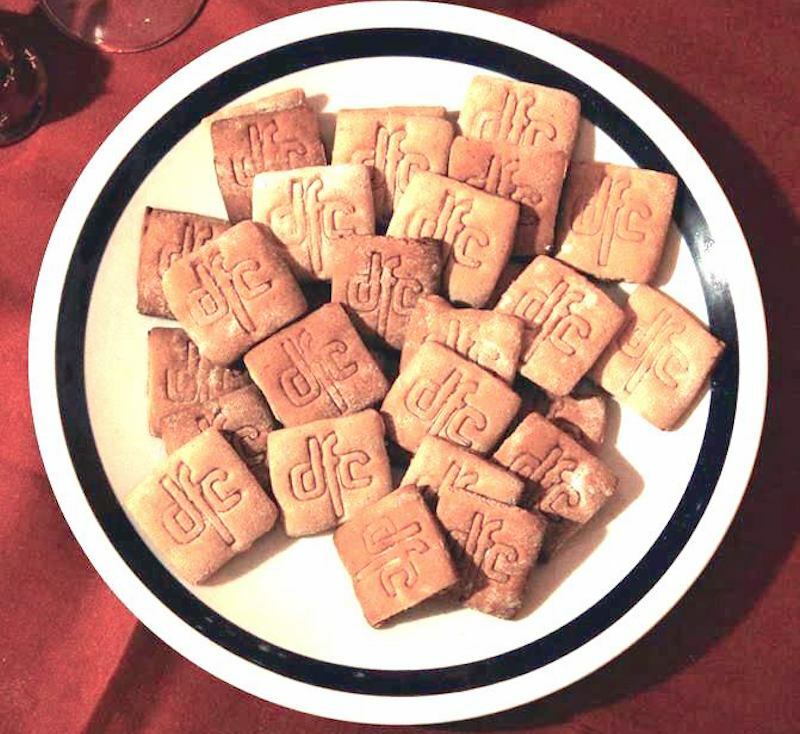 Here in DfC we were never satisfied with filaments containing wood powder: not easy to print and to finish. So we’ve decided to work, with our Stick Filaments, to obtain a material that can easily be printed and, then, finished with the typical tools of the wood. In this picture we’re proud to show you one of the first prints that we achieved with our new Stick Filament containing wood pulp. 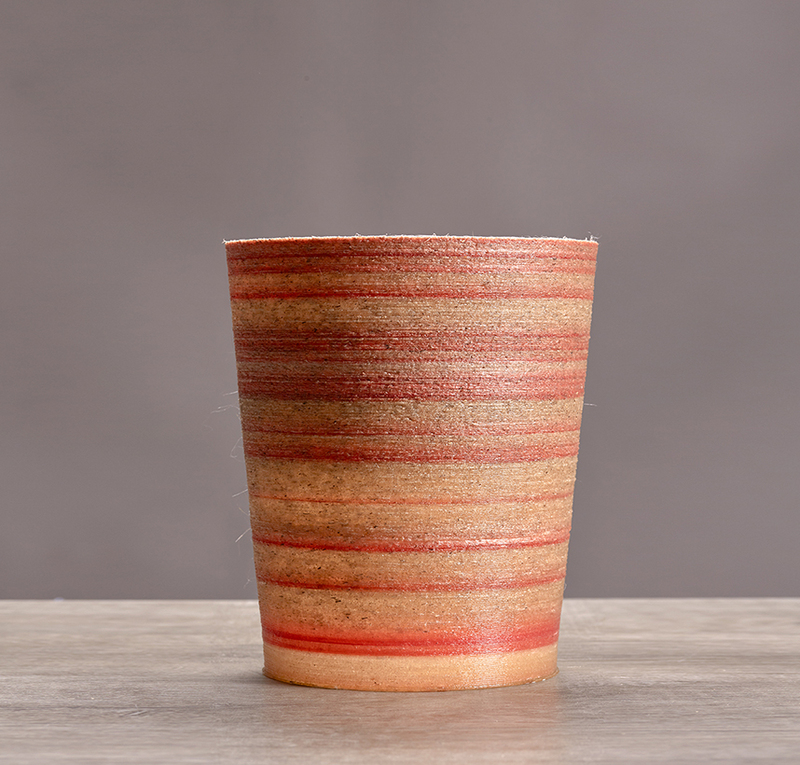 The result is an object of similar appearance to wood but with the resistance of the plastic! The printing process does not require special devices. 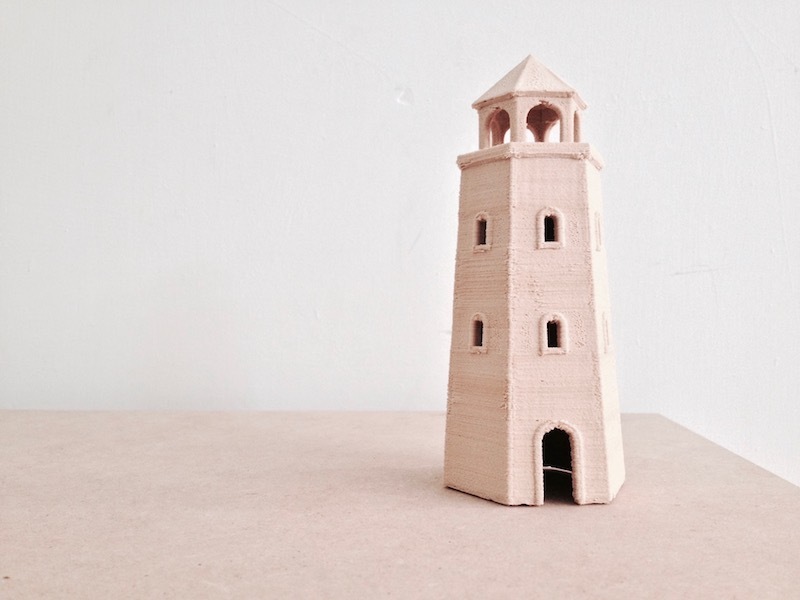 The printed object can be sanded, painted and polished as with any wooden material. Finally, we use 40% of wood pulp on this filament, other suppliers use lower percentage… Nice! We are very pleased with this result and we want to make it available soon for the purchasing in our shop.